Penfield Library will team up with Zonta Club of Oswego for Maker Madness, a celebration of International Women's Day filled with STEAM (Science Technology Engineering Art Math) fun, focusing on empowering girls and young women to explore their world and create a future. 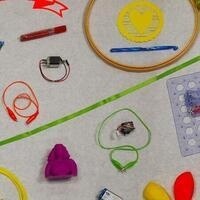 Makers will either demo their craft/skill or lead an activity that attendees can try out. Professionals, hobbyists and amateurs are all welcome. Activities for all ages and genders. Some examples of activities/demos are robotics, crafts, Legos and all sorts of DIY. Free. If you would like to reserve a booth at this event, online registration is available. Free. For more information, contact sharona.ginsberg@oswego.edu.